We start with one of the oldest and largest privacy coins by market capitalization — Monero. Ring Signatures protect the anonymity of the sender (from everyone but the receiver). Generally speaking, when a sender initiates a transaction with a recipient in a blockchain network, the sender digitally signs, with its private key, the value it is sending to prove to the recipient they agree to the value they’re transferring. This is the technical equivalent to signatures we provide on documents today when we’re agreeing to a transaction i.e. signing the check. The receiver uses the public key of the sender to unpack the digital signature from the sender and confirm, based on what the unpacked digital signature says, that the sender intended to send what was sent. Most blockchains today are multi-signature protocols, meaning multiple entities need to sign the transaction on behalf of the sender before it is submitted to the receiver. The receiver then can use the public keys from all of the entities that signed the transaction to decrypt the digital signature and confirm its accuracy. However, Monero initially had issues guaranteeing anonymity with ring signatures because observers, who had access to the public keys of the random accounts chosen, could explore the transaction history of each of the public keys and eliminate the public keys that were inactive — meaning they hadn’t transacted Monero in a while. As it turned out, the account with either the most recent or most active wallet was usually the sender. RingCT, adopted by Monero in January 2017, anonymizes the amount sent between the sender and receiver. RingCT implements the Confidential Transactions algorithm developed by Gregory Maxwell, a type of “zero-knowledge” proof which allows for the amount transferred to be completely obfuscated to everyone outside of the sender and receiver. The implementation of Confidential Transactions is a reflection of the progress the industry has made with implementing zero-knowledge proofs in the last two years. Here’s how the algorithm works: before the transaction is submitted to the blockchain, the sender and receiver each choose their own “blinding factor”. A blinding factor is a randomized string of letters and numbers that is multiplied by the value being transacted to obscure the network from knowing how much is really being transferred. Multiplying the blinding factor by the value being transferred produces a new public key called a “Pedersen Commitment”. The sender and receiver each create their own Pedersen Commitment and subtract the receiver’s Pedersen Commitment from the sender’s (Output — Input). When the transaction is published to the blockchain, validating nodes just see the resulting Pedersen Commitment. Because the validators do not know the random blinding factors of the sender and receiver, there’s no way for them to unwind the resulting Pedersen Commitment and determine the value transferred. But the validators do not need to unwind anything in order to approve the transaction. Here’s the zero-knowledge proof: the only component that differs between the Pedersen Commitment of the sender and that of the receiver is the difference in value of their blinding factors. So as long as the receiver’s Pedersen Commitment — the sender’s Pedersen Commitment equals the difference in their blinding factors, the validating nodes can approve the transaction and post it to the next block. You may ask — how can the validators be sure the resulting Pedersen Commitment equals the difference in their blinding factors? To test this, before the validators approve the transaction they could have the involved parties redo their transaction with dummy blinding factors supplied by the validators and see if the resulting Pedersen Commitment is what the validators anticipate. Ultimately, there are many ways the protocol can test for the “soundness” of a zero-knowledge proof without breaking with zero-knowledge principle. These are called rangeproofs, and they are a series of proofs that prove a blinding factor lies within a certain interval or “range” of known numbers. A common rangeproof is to prove that the value transacted is non-negative, as transferring negative values would allow the sender to create value out of thin air. Confidential Transactions require that each transaction contains a rangeproof(s), and the rangeproofs are actually included in the block with the transaction data. For those interested, you can learn more about Monero’s particular rangeproofs here. In addition, by obscuring transaction values the adoption of RingCT minimized the vulnerability in detecting the true sender in Ring Signatures because it eliminated the requirement that each of the decoys have to possess the value being transferred, thereby massively increasing the decoy pool. Although zero-knowledge proofs might be the holy grail of secure verification in decentralized systems, the first implementations have been both computationally intensive and expensive. This can be attributed to the rangeproofs, which account for the vast majority of data in blocks that use them. Therefore, in October 2018, Monero hard-forked its protocol and reconstructed Confidential Transactions into a bulletproof, a much more efficient zero-knowledge proof standard. Under the original zero-knowledge proof standard for Confidential Transactions, each transaction size in a block scaled linearly (1 output = 7kB, 2 outputs = 13kB). Under bulletproofs, transaction sizes scale logarithmically instead (ex: 1 output = 2kB, 2 outputs = 2.5kB). According to Monero, this represents an 80% reduction in transaction size. Therefore, the integration of bulletproof standards into zero-knowledge algorithms has the potential to give the Monero blockchain sustainability. Stealth Addresses protect the anonymity of the receiver (from everyone but the sender). Before completing the transaction, the sender creates a new, one-time public address for the receiver by multiplying its private address by the public address of the receiver, thereby creating a stealth address. This stealth address is what the receiver submits to the block when the transaction is pending. Because a hashed output address doesn’t reveal anything about its inputs, the receiver doesn’t learn the sender’s private key through this process. Because none of the validators know the sender’s private key, they cannot establish a connection between the receiver’s public key and its stealth address. Because a new stealth address is created for each transaction, this limits each sender’s ability to track the activity of the receiver just to their transaction. In order to understand Kovri, it’s important to know that there are two layers to blockchain privacy. The first, which Ring Signatures, RingCT, and Stealth Addresses attempt to protect, is validation privacy: the network can verify the transaction without exposing the personal/private details of the involved parties. The second is transmission privacy. Based on TCP/IP, the communication protocol for the Internet, the sender’s command tells its client node what the intended destination node is supposed to be for the data. Almost always, unless the client and destination nodes are on the same local network, the client node only knows the destination’s domain name, such as espn.com or an e-mail address. In other words, the sender doesn’t know the IP address of the receiver. As a result, the data travels through the Internet being forwarded from the client node through a pathway of nodes, known as “relay” nodes, looking for a DNS server that contains the domain name in its database and its associated IP address. Here’s a key point to understand: the data itself isn’t traveling aimlessly looking for the right DNS server. If that were the case, the data would pass through and be exposed to a bunch of unnecessary nodes. Instead, the shortest path between the senders address and unknown receivers address is solved, like a puzzle, using Dijkstra’s algorithm. Once the shortest path is determined, the data passes through the relay nodes along that path. Therefore, unnecessary nodes do not touch the data. Because Dijkstra’s algorithm determines the transmission route before the data is transferred, each node only knows the previous node and the next node in the transmission pathway. The only computer that knows the sending IP address is the sender, and the only computer that knows the receiving IP addresses is the destination computer. The DNS server is queried for the IP address of the destination computer, but because Dijkstra’s algorithm computes before the data is transferred, it learns nothing about the information/value being transferred. The data that’s being transferred does not contain information on the sender and receiver. So again, relay nodes learn nothing about the sender and receiver. The Internet and TCP/IP protocol use domain names for navigation rather than IP addresses because this adds in a critical layer of obfuscation. So — taking all this into consideration, where’s the vulnerability? Our description may have made TCP/IP appear fortified, but there are actually multiple ways to “cyber attack” via the Internet. There’s an entire industry (Cybersecurity) dedicated to combating this pursuit. Generally speaking, the first type of attack are destructive attacks — many of these, such as DDos, overwhelm and take out the functionality of a targeted client. The second are spying attacks — where attackers can access the sender, receiver and data being transferred. So how can blockchain nodes avoid the range of possible cyber attacks? Well, guaranteed avoidance isn’t possible unless nodes remain offline, because when you interact with other nodes you assume the risk the counterparty is infected with a virus, that upon interaction, could harm your computer. This, again, is merely how the Internet works because it’s empirically peer-to-peer / node-to-node. However, if the attack isn’t coming from your counterparty but rather a third-party, there is a proposed solution for how to avoid attacks: obfuscating either your location or your transmission pathway. Additionally and also as popular, there’s the Invisible Internet Project (I2P), which takes anonymity one step further. I2P, initially released in 2003, is an encrypted Internet inside of the Internet; sender and receivers are apart of the I2P network, and the protected data never leaves the bubble. Because of this, some refer to I2P as the true darknet. Both I2P and Tor are free and open-source software. You can learn more about how Tor and I2P work and their similarities and differences as P2P encryption networks here. A Monero development team, led by core Monero developer “Anonimal” has been working on an integration of I2P for Monero named Kovri. Simply put, I2P is programmed in Java and Kovri was proposed as an enhanced, C++implementation. Kovri currently is not live and updates from Anonimal have been few and far between. On December 25, 2018, Anonimal released a white paper on Sekreta, which could be an updated version of Kovri and references Kovri’s I2P protocol throughout its analysis. All in all, the intention of Kovri / Sekreta is to couple transmission privacy with the more popularly addressed validation privacy. We will provide updates if there is any announced progress on Monero’s I2P solution. 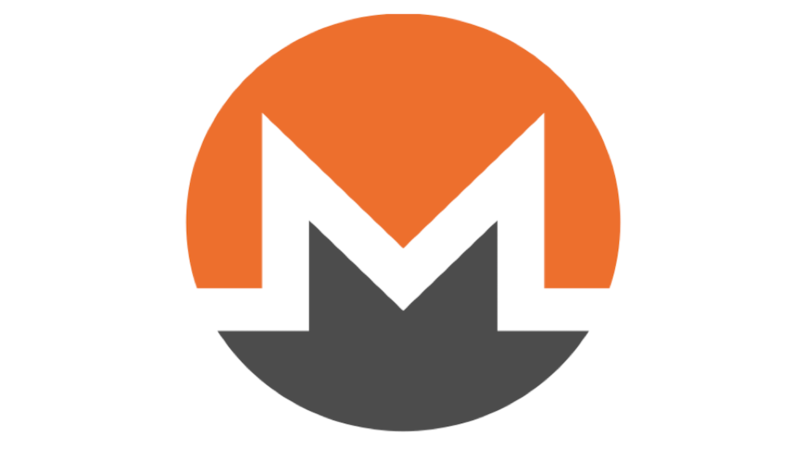 In review, Monero has mandatory anonymization and utilizes a combination of zero-knowledge algorithms and community-based signature mixing to preserve users’ privacy. Monero developers are working on an interesting side project to secure transmission privacy, but this project is still under development.